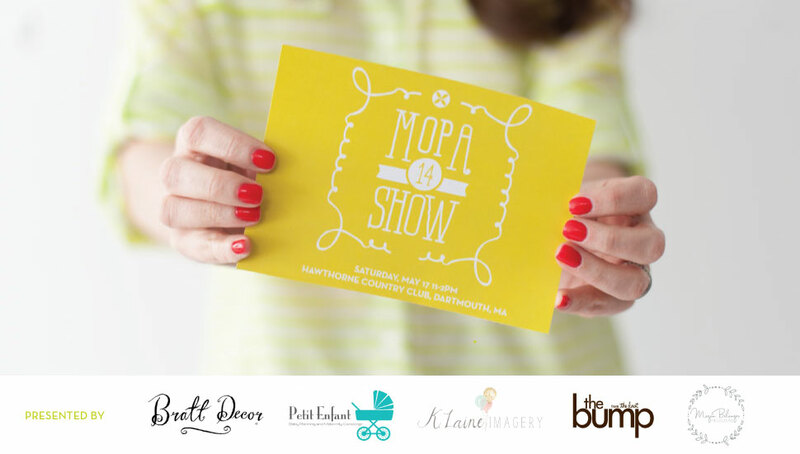 We're excited to be attending the Modern Parenting MOPA14 Show this Saturday, May 17 from 11-2 pm at the Hawthorne Country Club in Dartmouth, MA. Tickets have been selling fast and they are almost sold out of general admission tickets (which include a MOPA Tote bag with various deals and some products). The event will have live demonstrations, pop-up shops and a delicious brunch. You will have the chance to hear advice from experts to learn tips about registering, decorating and designing. You can also win amazing giveaways. Registration is still open and you can even take $5 off your ticket using the code "BUMP". NOTE: In exchange for writing this post we were provided with complimentary tickets to attend the event. No other compensation was provided. There was no promise of a positive posting.